Camberwell Green is a historic small urban park, with mature trees dating back to the late 19th century. 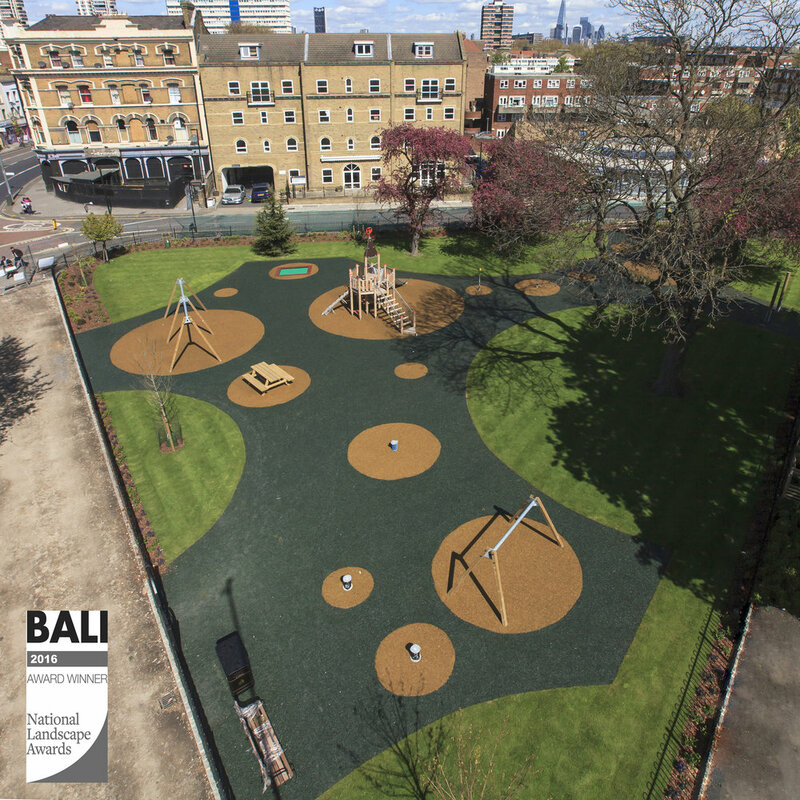 The works included the clearance of the existing play equipment and tarmac surfacing and the reconfiguring of the area to allow for the installation of a new play park with multi-coloured safety surfacing and bespoke play features. New entrances were created using bespoke concrete feature walls and the boundary railings were completely refurbished. The soft landscape areas were enhanced with improvements to the site drainage and topsoil along with the laying of turf and the planting of semi mature trees and shrubs. A new pedestrian road was also constructed to improve access to the park and this incorporated new street furniture and the planting of street trees using a cell system to ensure the longevity of both the trees and the hard surfacing. All the Section 278 street works were carried out directly by Blakedown.